2016 Summer Workshop "Let's Prepare for the Future"
ESCO held a summer workshop in Yeongwol and Pyeongchang, Gangwon-do for 2 days. In celebration of the 20th anniversary of foundation, there was a vision presentation for the new 20 years. In sportive activity, we have teamed up through river rafting. Despite severe stream of The Donggang River, ESCO people put all efforts together to arrive safely. 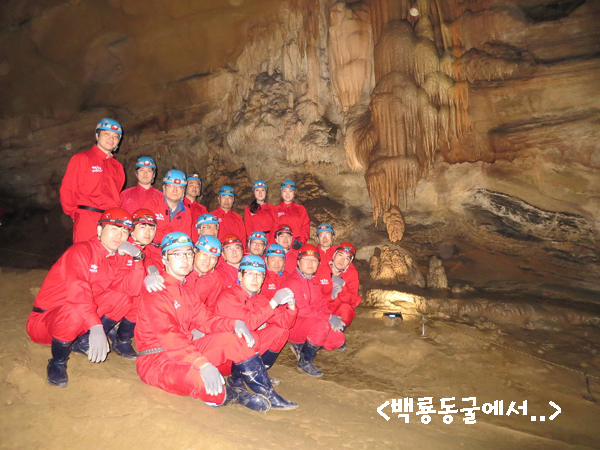 And the second day of workshop, we have visited The Baengnyong Cave in Pyeongchang. Throughtout the exploration, magnificent scene of cave made us stunned with splendid sight. The ESCO consultant, started out with founding philosophy, "to serve society with engineering technology", has its 20th anniversary of establishment this year. As the past 20 years, ESCO consultant will always serve society with our technology.